Across the country, we are helping teachers and families create engaging learning experiences that lead to student success. Read the real success stories. 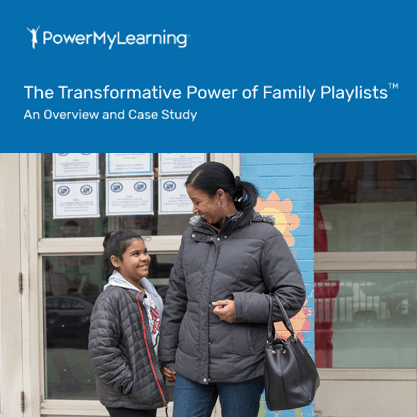 Read about Family Playlists including a Case Study of the first year of implementation with teachers at a district middle school located in the South Bronx. The results were unprecedented. Click below to download your free copy. Mr. Freeman began working with PowerMyLearning during his first year as a fourth-grade teacher. Find out how he was able to adopt personalized learning by first adapting his classroom. 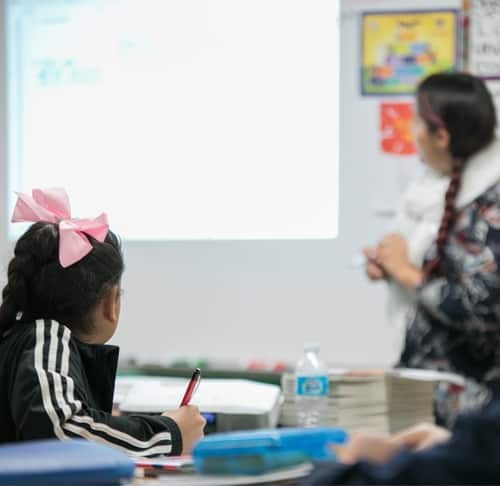 Ms. Arenas, a veteran sixth-grade math teacher, transformed her practice with support from PowerMyLearning. She nearly tripled the percentage of students achieving math proficiency as a result. Ms. Feeney needed supports to meet the learning needs of her second-grade students. Find out how she used data-driven instruction to personalize learning and strengthen student-teacher relationships.